Looking for Space in Ardmore?! 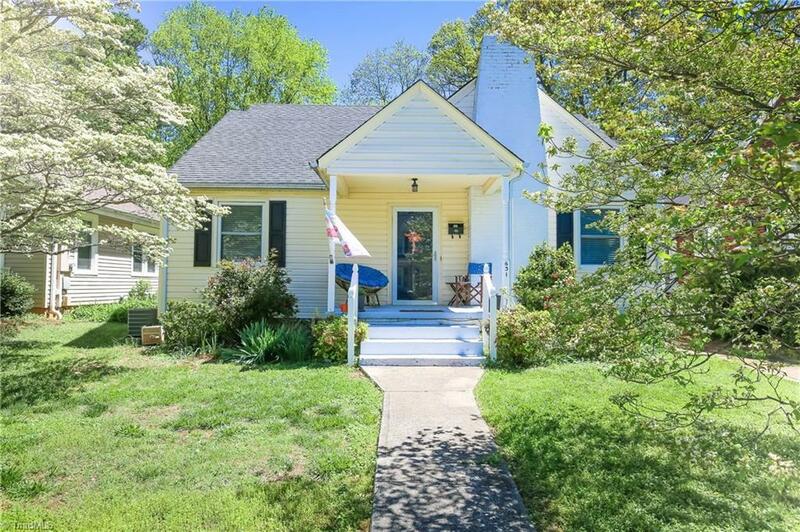 This Charming 1930's home is ready for its new owners! Open Concept Living Room w/ Hardwood Floors and Gas Fireplace. Eat in Breakfast Nook w/ Formal Dining Room. Mudroom/Laundry off Kitchen. Four Bedrooms, Three Full Bathrooms, Walk In Closets and Two Master Suites. Primary Master has a Jetted Tub! Spacious Flat Back Yard with large Deck for Entertaining guests. Adorable Front Porch. Tons of Storage in Unfinished Basement. Convenient to Wake Forest Baptist Health/Shopping. Fixture Exception Description: Ceiling Fan In Master Bedroom Does Not Convey. New Fan Will Be Installed By Owners.